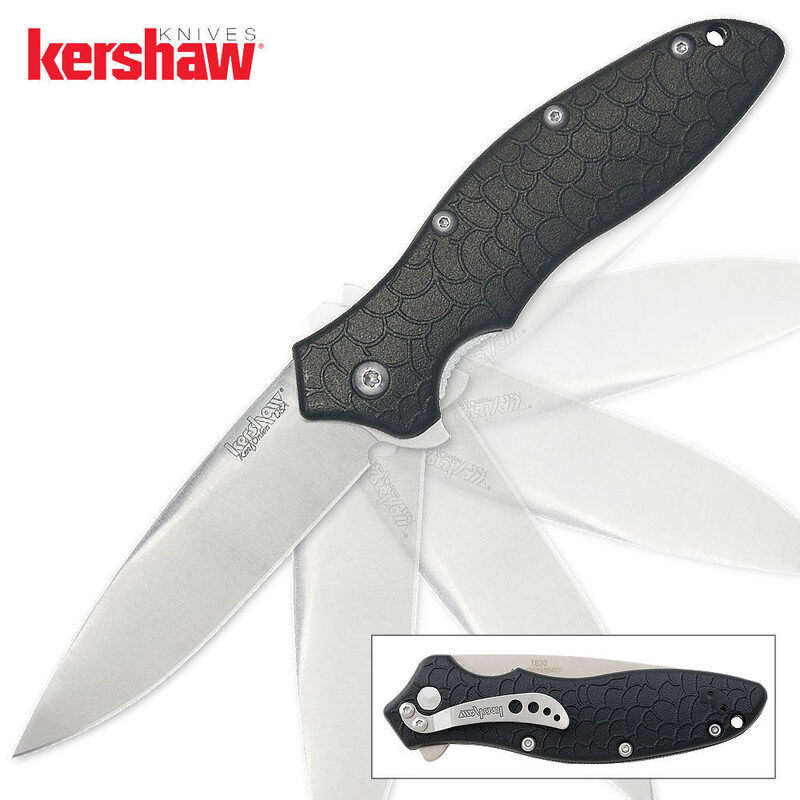 Kershaw OSO Sweet Assisted Opening Pocket Knife | BUDK.com - Knives & Swords At The Lowest Prices! 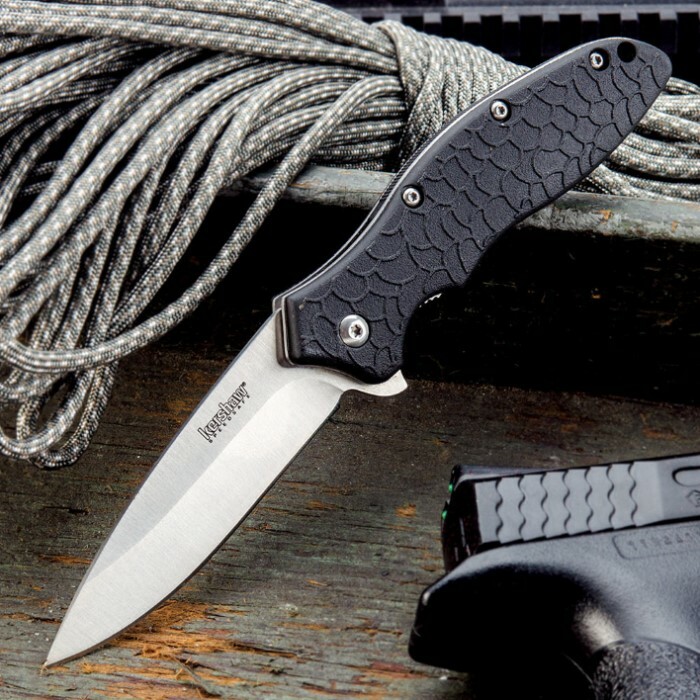 The Kershaw OSO Sweet Pocket Knife is a great EDC because it offers you a 3 1/2" blade of high quality 8Cr13MoV stainless steel for toughness and edge retention. The SpeedSafe assisted opening mechanism lets you access the blade at lightning speed. The handle is of black injection molded, glass-filled nylon with a distinctive “scale" pattern. 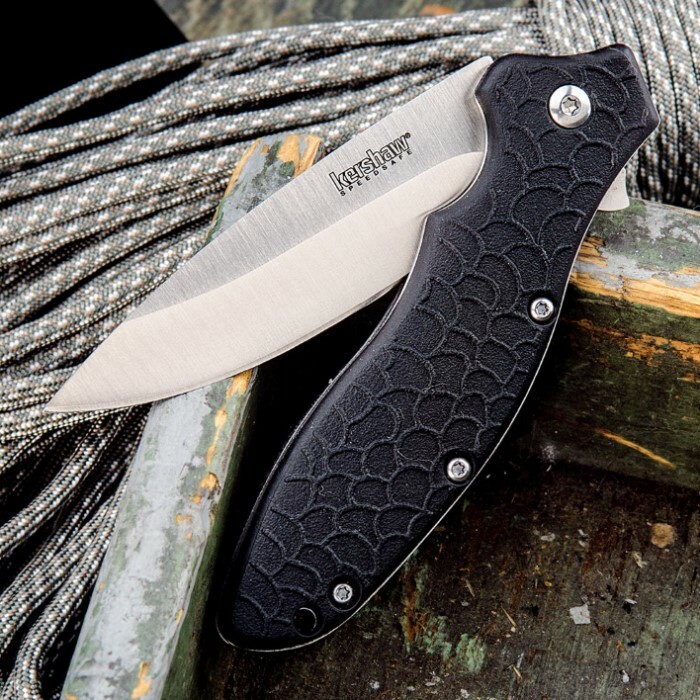 The pocket knife also features a removable, reversible pocket clip for ease of carry. Having a dependable and durable EDC pocket knife is a must! I really like this knife. OSO SWEET IT IS! I want to thank you all for reviews cause you all were right. I have been looking for a new EDC for 5 months and have bought other knives in mean time and none felt right till I purcheased OSO sweet wish it was a hair bigger in hand but other than that it is perfect. and unlike other knives this did come razor sharp.so again thank you all keep doing reviews on everything to help others. Oh so sweet it is! When I first got this knife I thought to myself, too small. I like my everyday carry knives to be at least 3 inches, which is why I bought this knife, its 3 inches long and has the speedsafe assist open system. I not only carry for utility reasons but for self defense as well, It didn't look like it would be a good aggressive looking, useful knife. The more I handled the knife, the more I knew I was wrong. Another great Kershaw. I love this knife, the action is swift and smooth, flies open! Great edge out of the box, couple of passes on my steel and it's razor sharp! The oso sweet is now on me everyday, everywhere I go. I lost a Ken Onion Kershaw knife somehow. I had to have another to replace it and this one did the job. I am totally satisfied and may order another, just in case. It feels good in my pocket and is a quality knife for any price. THIS IS A VERY NICE KNIFE. QUALITY ALL THE WAY AT A FAIR PRICE. WHEN I WAS YOUNGER KERSHAW WAS KNOWN FOR THEIR GOOD KNIVES. AS THE YEARS WENT BY, THE QUALITY OF THEIR KNIVES SEEMED TO SLIP, AND I QUIT USING THEM. IT LOOKS LIKE KERSHAW IS BACK. I HAVE RECENTLY SOLD A NUMBER OF KERSHAW KNIVES TO CUSTOMERS, AND THEY ABSOLUTELY LOVED THEM. I PERSONALLY CARRY THE OSO SWEET KNIFE. I FEEL IT IS ONE OF THE BETTER ALL PURPOSE, DAILY CARRY KNIVES THAT I HAVE OWENED IN SEVERAL YEARS. I WOULD HIGHLY RECCOMEND THIS KNIFE. J.M. This knife is o so sweet for real. The blade is made of great material. I had got one b4. So good I had to have another. I would recamend this to any one who loves knifes!